Tournament quilted separate hose mark I. MEDIEVAL MARKET - SPES. 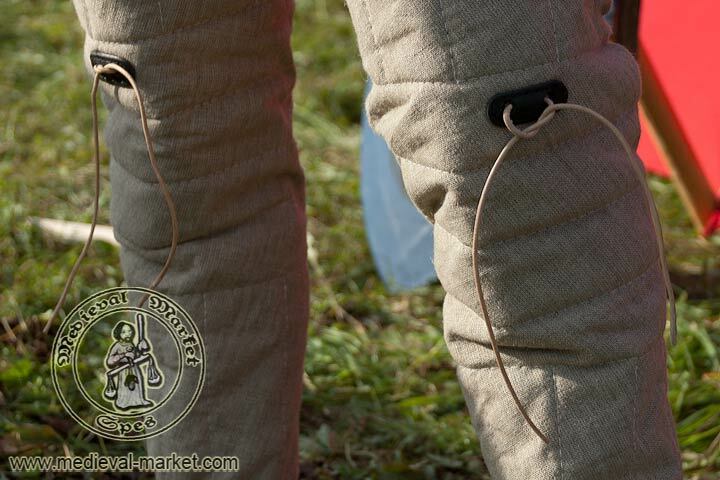 This model of quilted separate hose was designed with thoughts of competitors in the individual tournaments - where most important is to keep balance between mobility and protection. 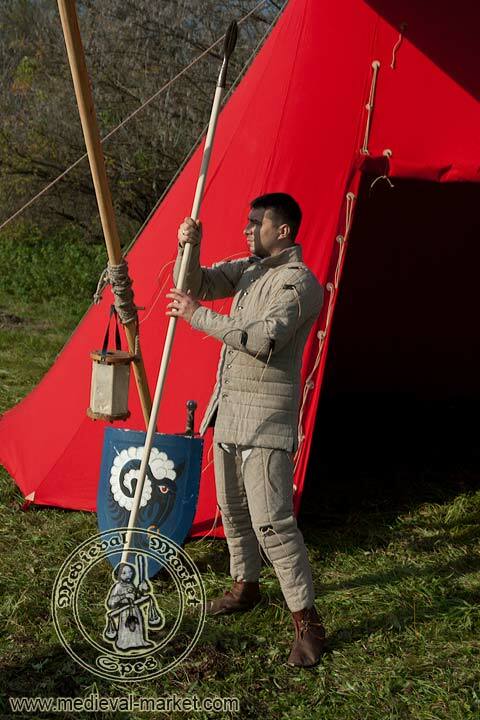 This gambeson gives great protection and amortisation with keeping full mobility. It is compromise between weight and protection. 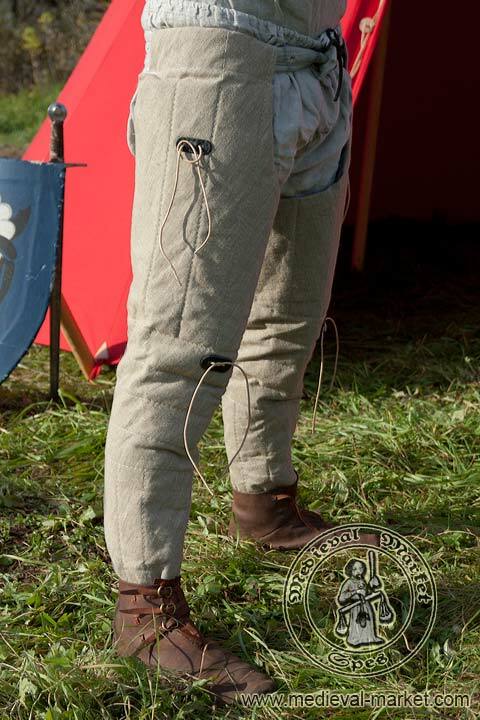 This product is very good to be use in the individual tournaments as well as in bohurt fights - for example with additional full plate legs protectors. 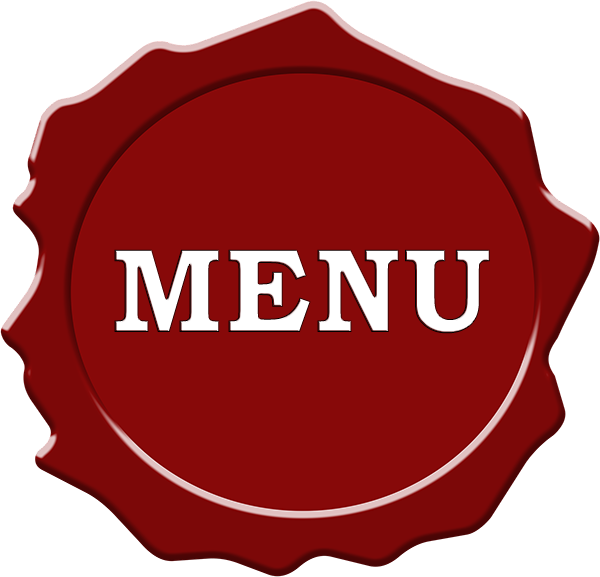 This product is fully compatible with other products from HMB line. Hoses covered whole leg and have stirrup below the feet. Thanks to special cut in a crotch quilted legs do not difficult the walking. 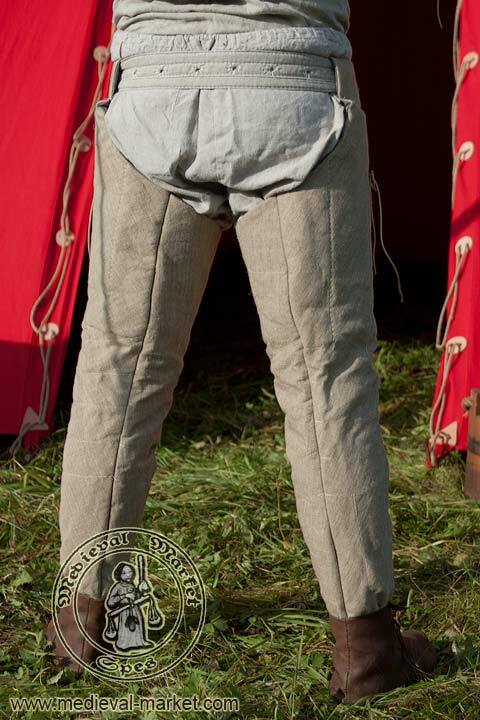 Additionally extending the upper part of quilted legs created additional protection of lover part of hips. The product has belt loops in the top for mounting it onto a belt or a suspender belt. 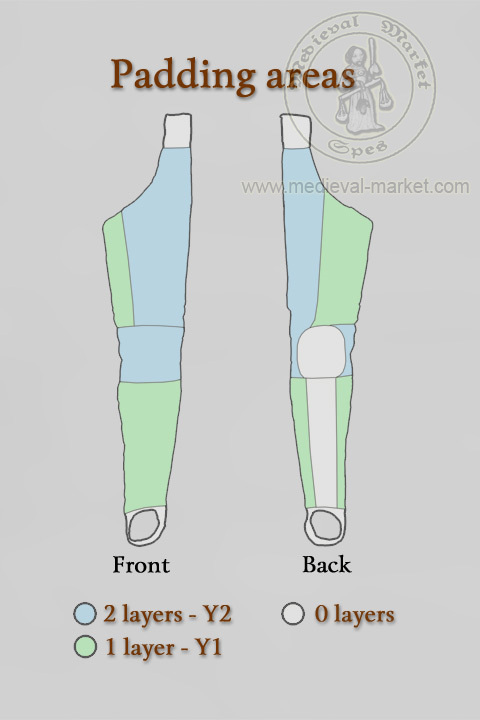 As standard option, this product has bindings attached to the places where usually additional leg protectors are mounted (thighs or knee protectors). Height to waist without stapes is shorter by 4 cm! 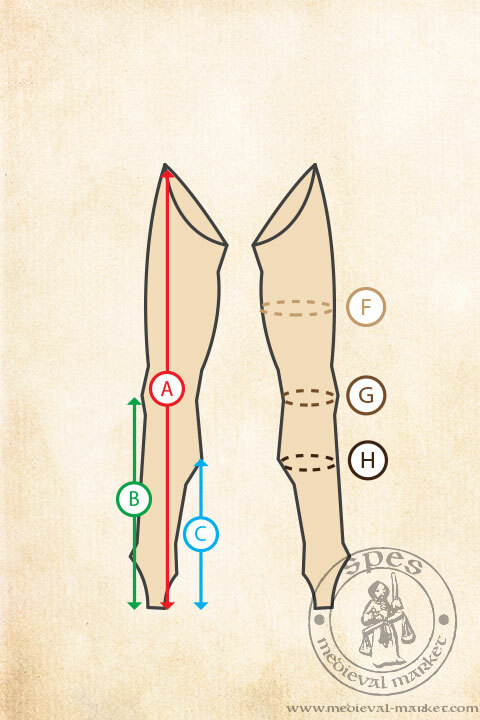 Height to crotch without stapes is shorter by 5cm!